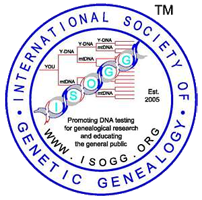 This weekends BIFHSGO conference has all the traditional Genealogy lectures and Tours and Workshops and a great Marketplace Hall. I am also volunteering here at the conference since BIFHSGO is also my “home” Genealogical Society (OGS Ottawa too). Surely you have noticed my tweets about the conference as a member of the Social Media Team. As such I spend a good bit of time slinking along the back rows of lectures taking quiet pictures and tweeting briefly, politely during those lectures so you all can live vicariously through me and my Social Media Shares. DISCLAIMER – Please do not take pictures or do social media while attending lectures unless you are a part of a recognized Social Media Team for the event. Since the Social Media Hub at this event is set-up in the BIFHSGO Conference MarketPlace we have the opportunity to hob nob with some of the venders while sessions are running. No it’s not downtime, because you don’t have to be registered or even pay to get into the Market Hall, so there are always people buzzing about, it’s just a break from the crush of people from the sessions. This year the Social Media Hub is just around the corner from this conference’s main Gadget Geek Vender, Shop The Hound! I want to buy everything they have! One thing that has caught my eye is the ZCan Scanner Mouse. If you have ever had a scratch off card? Lottery or coupon – as you scratch an image appears kind of thing? Well this is similar you run your mouse over an image or document and with each swipe of the mouse the image or document appears. It’s crazy cool and it’s easy to carry. Shop the Hound has other Gadgets too. Need to add some bling to your headphone jack? They have has shiny, sparkly bangle for this. Want to carry a full blown, but portable, Scanner? You can walk away with the Flip Pal. Have a lot us SD storage cards from Camera’s or netbook storage floating around in every bag and drawer you have? Well, they have a little leather case designed just for this and more! Tech Gear and Gadgets specifically designed for Genealogy, can’t beat it. Now I have to run do another WikiTree Source-A-Thon. Exhausted but still working! This Saturday, July 29th, 3:00 PM EDT. join Mags as she discusses all things Conferencing WikiTree Style with Kirsty Gray. What to bring, what to wear (ORANGE be a walking WikiTree Billboard), what to do and what not to do at a conference. This is a how to you don’t want to miss! As always Emma MacBeath will be moderating the chat, so bring your conferencing questions and ask away!